Lives of the dead eBook out now! My short story collection, Lives of the Dead is now also available in eBook format. It’s available for purchase from Spineless Wonders here. See also other fabulous Spineless Wonders collections in eBook and print formats here. Hold On – asylum seekers’ song recorded! Last year I wrote about my friend and neighbour Lorraine Vogel, who was raising funds to record a song of welcome to asylum seekers, a message of compassion and hope. Well, Lorraine has done it! 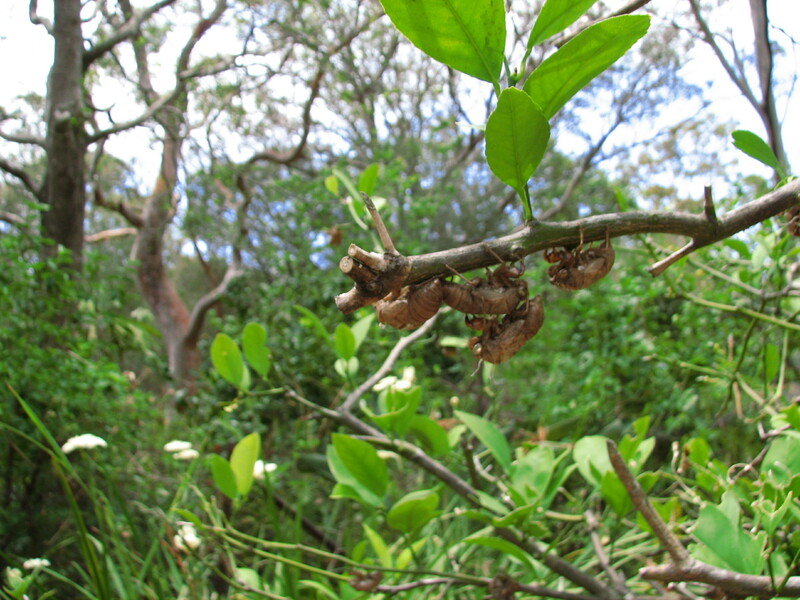 The Pozible target was reached and the song recorded! Grab a tissue and have a listen to this uplifting song being performed by the Rainsong choir here. Lorraine gives her heartfelt thanks to everyone who gave their time, donations and talents to bring the song to life. This entry was posted in Uncategorized on February 5, 2014 by Jane Skelton. All books on sale at discount prices! This entry was posted in Uncategorized on December 3, 2013 by Jane Skelton. She died today at home, aged 94. Doris Lessing, writer of more than 60 works, of novels, short stories, plays, poetry. A writer who defied categorisation, a writer of ideas. Many critics claim the Golden Notebook was her best work, but in my opinion it’s The Four-Gated City. It’s a great loaf of a novel, the culmination of her Children of Violence series, about the young Martha Quest, who in this novel begins her life over again in post war London. It’s a long time ago that I read this book, but I remember and love her descriptions of London, of drinking tea in Jimmy and Iris’s cafe, looking out through the grimed glass, walking hurridly through the bombed-out streets, the ruined houses, the ever-present river. She writes about the city as a slow-moving organism, the buildings bombed out by war revealing layer after layer of wallpaper – each an emotional expression of lives lived within. It’s a novel about about life lived under the nuclear threat. She draws on imaginary novels, diaries, letters, notes shopping lists and actual historical events to build a picture of a society breaking down. She was a prescient writer, ahead of her time. Vale Doris Lessing, I’ll be reading your books again. 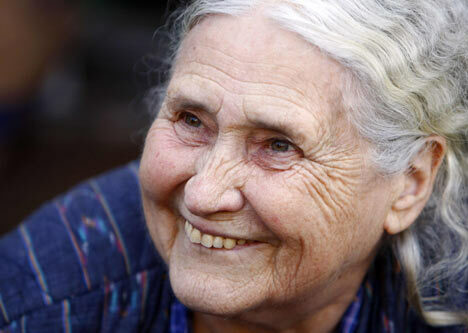 See Doris Lessing video here. This entry was posted in Uncategorized on November 18, 2013 by Jane Skelton. Whether published by large or small publishers, writers are now expected to take an active role in helping to publicise their books. 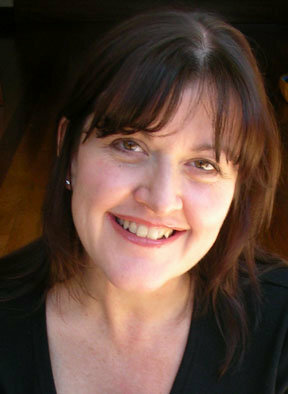 Many writers these days have websites, blogs, Facebook and Twitter accounts, and are expected to build up a ‘following’. For writers, it can all become a bit distracting, as noted by Cate Kennedy in her essay, ‘Driven to Distraction’ where she says that ‘the last thing a writer needs is the clamoring, 24/7, caffeinated babble-fest that now beckons so seductively from the glowing screen’. Here I am writing another blog post. I’m not sure if anyone reads it. Although the web statistics tell me there are visitors and the numbers are surprising. Who are these people? Blog-writing is time-consuming and I wonder whether to keep it going or not. Maybe I’ve been a bit half-hearted about it and ought to get into it more. Though in reality it is taking precious time away from other ‘real’ writing. What to do? Another reason some writers find this self-publicity thing daunting is that we may be quite introverted. We may pretend to be out-going but it’s all a façade and we would much prefer to be holed up in a cabin in the wilderness reading and writing than interacting with the world, digital and real. What is the ‘real world’ anyway? Shy or not, we have an overwhelming desire for communication, or else we would not be writing. Cos I think, that’s what it’s all about really. For me, anyway. 1. Champion other writers. 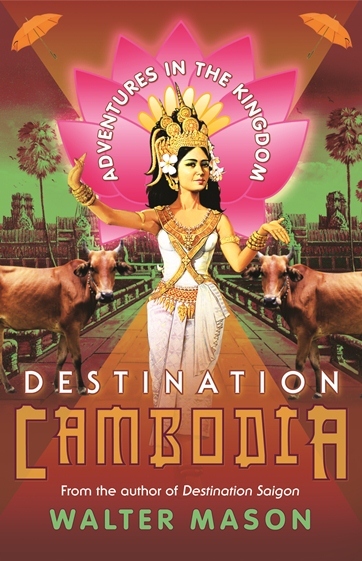 I can’t express how much gratitude I feel toward Walter Mason, author of Destination Cambodia. Walter has so generously promoted my work in many ways, including on his website and Twitter, without being asked. 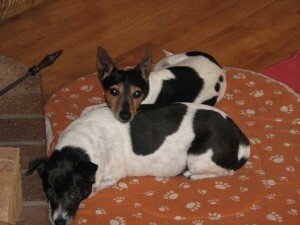 Co-operation is the way to go – this is Walter’s philosophy. To support and promote others without expecting reciprocation. His fascinating blog is a feast of interviews and guest blogs with writers, as well as tips for promoting your work in the digital age. 2. If you are a debut author, submit your book to ‘Friday Night Fictions’. This is an item on Kirsten Krauth’s blog, ‘Wild Colonial Girl’ – a great blog, well-worth checking out. 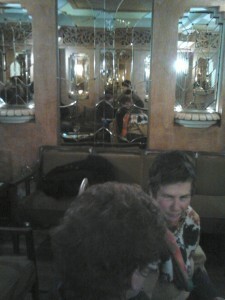 Kirsten, author of the novel Just a Girl, decided to create a space for first-time authors to see and comment on each others’ work, a digital soiree. Click here for guidelines. 3. Go regional! A key message at the recent NSW Writers’ Centre ‘Selling your book in the digital age symposium’ was that as an ‘emerging’ author you are more likely to get into festivals or events or attract audiences at readings in rural places than in the cities where author readings are far more frequent and commonplace. 4. Online community. Publishers can apparently be convinced by writers who already have a built-up online following. Some writers say to build up a “fan-base” long before you even release your book. Another message from the above symposium. 5. Social media. Begin with one thing, say Facebook, and become adept at it first, rather than trying everything at once. Follow authors you admire. Watch and learn from other writers who are good at this stuff. 6. Blog about your varied interests – this will bring readers to your website and create links to your book. Know your audience, be true to yourself. Comments? Ideas on promoting and selling your book? I am at a loss. Any more thoughts, ideas? This entry was posted in Uncategorized on November 8, 2013 by Jane Skelton. Another sizzling day in the mountains, the sky cream-blue, smoke from the fires still slow-burning in the National Park. The fires aren’t out, they are making their way through inaccessible country, a land of gullies and ridges. You can see it on Google earth, the folded country, the crinkled terrain, traversed by fragile pale lines – the narrow sandy or rocky tracks. The folds of the land are like waves, beaten down and eroded by the scrape of glaciers long ago, then by a great sea – and now the dry winds whittle out the shapes, the canyons, caves, the overhangs. Our houses trail along the ridges, small and fragile, a trail of litter, lapped by those great waves. Heat is coming into the day now and cicadas are in full, strident song; they chant in unison, they speak with one voice, and the dogs, lying in the heat seem uneasy, ears vibrating with these chiming chants. Cicada are still emerging, busting out the backs of their glassy shells, then crouching in the lower branches of trees, wings folded, bulging red eyes seeing this new world of heat and light. Because of the smoke, all the world has a bluish tinge, seen as though through water. The soft limbs of the scribbly gums are blue-white, the leaves of the trees blue-olive. Outside is a smell of burning eucalypts, and inside, the smell of burnt toast. 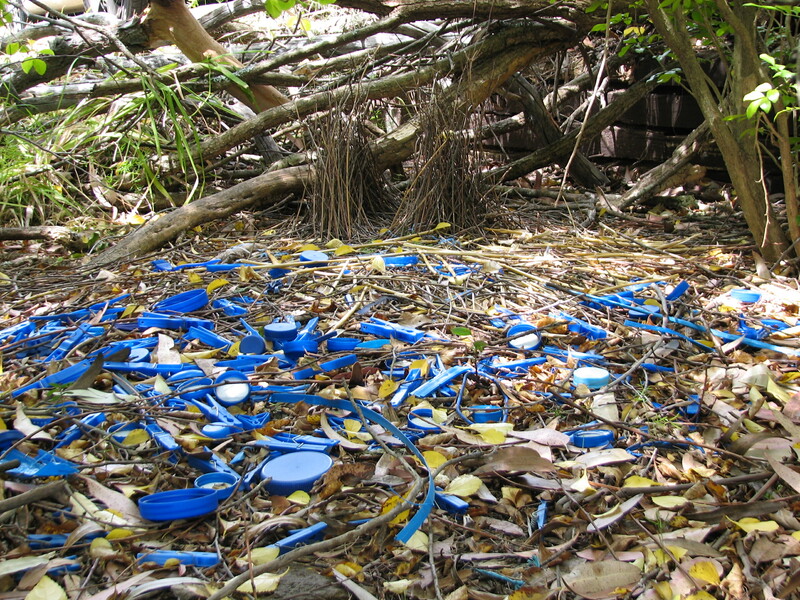 I segue into thinking about the colour blue, the attraction of blue, the bowerbird and his collection of blue playthings – pegs, lids, twine, ballpoint pens. 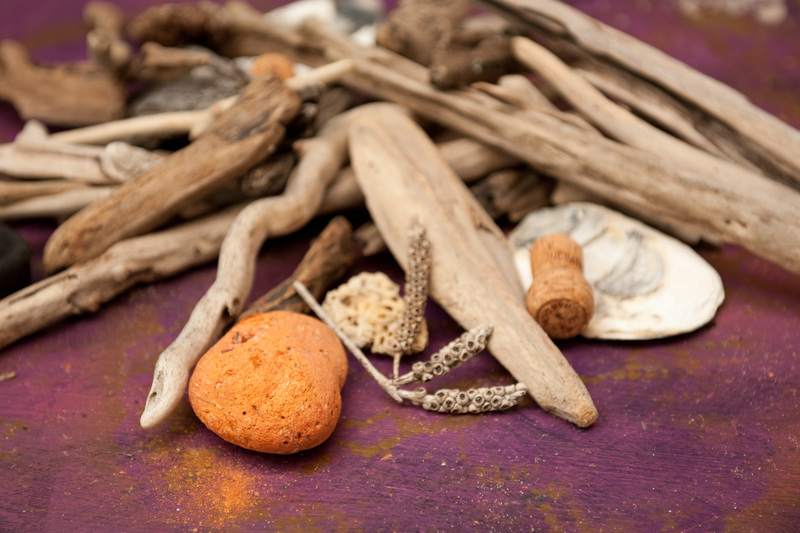 He tends to favour dark blues, royal blues, but closer to the bower is a layer of pale yellow things – straw, dead leaves, cicada cases, dried yellow flowers. Sometimes dozens of sulphur-coloured cockies’ crests appear. Where does he get all these crests from, does he go around scalping cockatoos? His sparkling eye is violet, the sun reveals his feathers as blue-black, as indigo, as midnight blue. 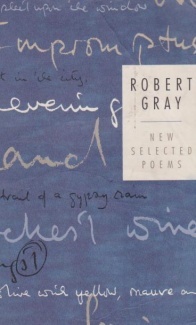 My Book of Symbols says blue is the purest of colours, everything sinks into it and vanishes. Blue is other-worldly, the night-sky blue is the colour of dreams. Check out my favourite painter, Victor Rubin’s delicious ‘A Woollahra twilight’. 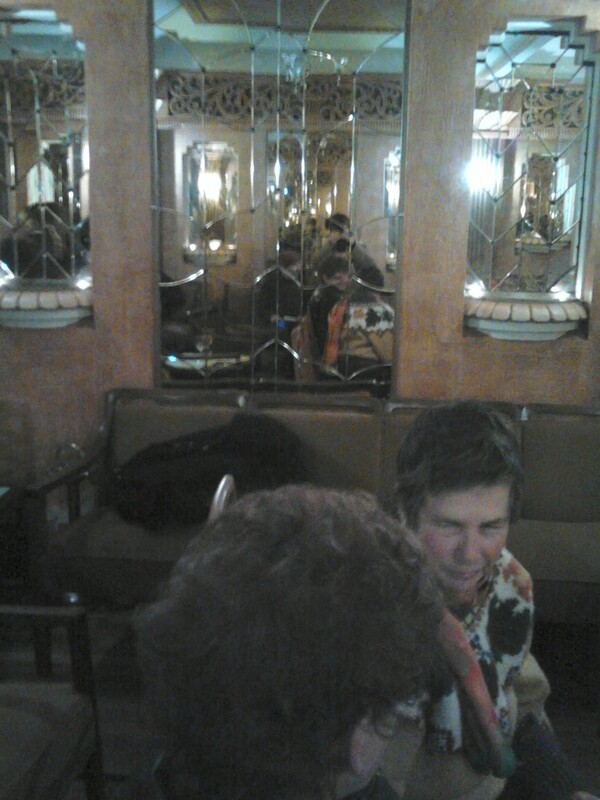 More Victor Rubin works here. Victor Rubin’s work was collected by Patrick White and Manoly Lascaris. 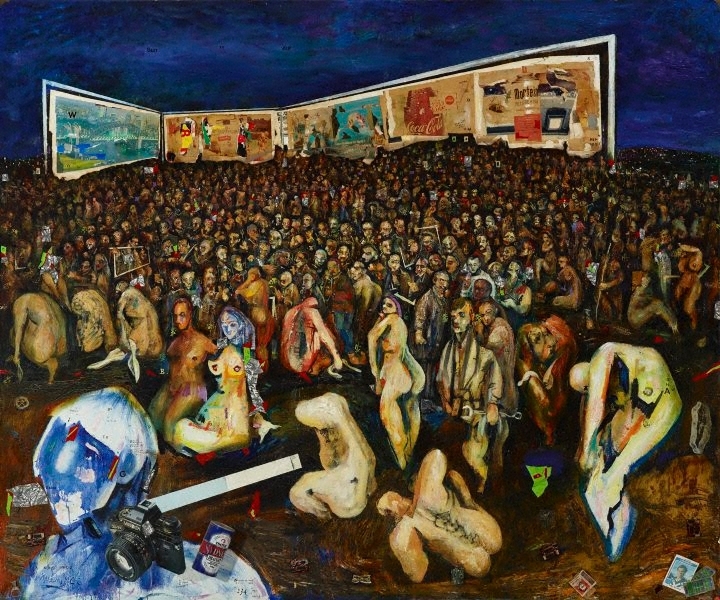 His ‘So why are we here?’, a scene of broken bodies and urban decay, was hung directly opposite visitors’ chairs in White’s house at Martin Rd. 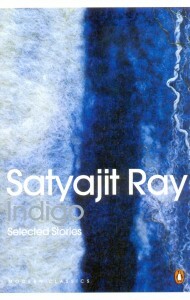 Indigo, a collection of short stories of the supernatural by Bengali author Satyajit Ray. 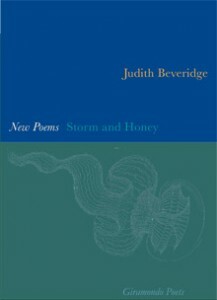 Storm and Honey, poetry by Judith Beveridge. See ‘Rain’ a favourite poem. New Selected Poems, Robert Gray, my favourite poet. 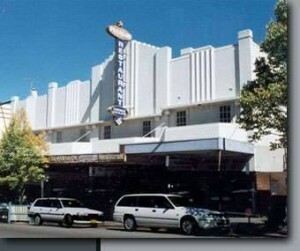 Images of the coast, the Hawkesbury, beaches, the sea. On the morning we decide to evacuate from the fires, while running about trying to decide what to take and gathering up a few precious things, I notice the holes, neat and perfect, all the same size, drilled into the hard, baked ground. 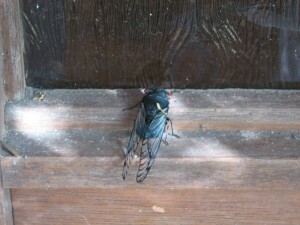 Then I see them, the cicadas, Black Princes, clinging to the front door. 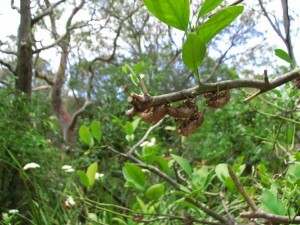 The cicadas have emerged. 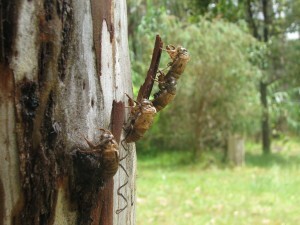 The dry, broken cases of cicada nymphs are everywhere. Each has a hole in its back where the winged beauty has emerged, reminding me of Alien movies. As the smoke from the Blue Mountains fires fingers through the trees, the cicadas are taking flight, positioning themselves and beginning their strident song. I love the sound of their chanting, but sometimes it can become maddening – the volume at close range can reach 120 decibels, which is approaching the threshold of human hearing. As we pack the cars, preparing for our own flight, I notice the Bower Bird is catching and eating the newly emerged cicadas. He bats them on the ground, then peels and eats them like prawns. 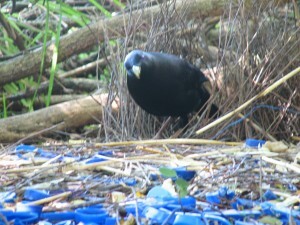 Most of the birds seem to have disappeared with the advent of the fires, but the Satin Bower Bird, who lives in our front yard, has kept on playing, dancing, renovating and re-arranging his bower, despite the smoke and the nearby human activity of leaf-clearing and gutter-cleaning. And so we take a look at our place as we drive away, hoping it’ll be there when we return and that the Bower Bird will leave his playground if the fire comes. This entry was posted in Uncategorized on October 28, 2013 by Jane Skelton. My friend and neighbour Lorraine Vogel has written a song with a very different message for refugees. This message offers hope, warmth and welcome. Lorraine aims to professionally record the song and have it translated and made accessible to refugees in detention centres. The song could also be a unifying force for those who care about the rights of asylum seekers. It’s a great song! Lorraine has raised $1,730 towards her target – and needs to raise another $2,270 in the next 13 days. This entry was posted in Uncategorized on September 16, 2013 by Jane Skelton. 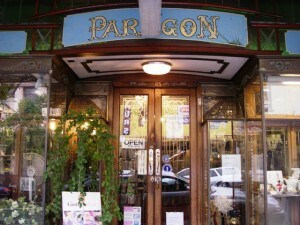 I’ll be reading from my book Lives of the Dead at the Art Deco Paragon Cafe Cocktail Lounge on Friday the 13th. I hope that the cafe’s ghost who haunts the ladies toilet and loves to slam the door with gusto, will be a little sympathetic and keep the noise down! 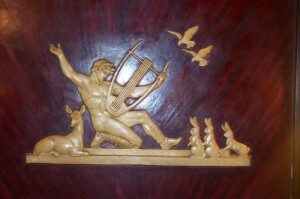 The evening will also feature a Celtic harpist, Martyn Cook and poetry by Sue Wildman and Simon Lenthen. The evening kicks off at 8pm. Tickets are $10. This entry was posted in Uncategorized on August 25, 2013 by Jane Skelton. 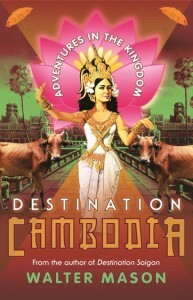 Walter Mason’s new book Destination Cambodia out soon! Walter’s previous book, Destination Saigon was named one of the ten best travel books of 2010 by the Sydney Morning Herald. I found it un-put-downable, and hilariously funny. There are only a few books that have ever made me laugh out loud, but that one certainly did. For more info about the book and videos of some of Walter’s Cambodian food experiences, tempting or otherwise, see: http://www.noodlies.com/2013/08/destination-cambodia-by-walter-mason/.